This is a 1965 75 Spanish Treasure cartridge/converter-fill in Sterling Silver. 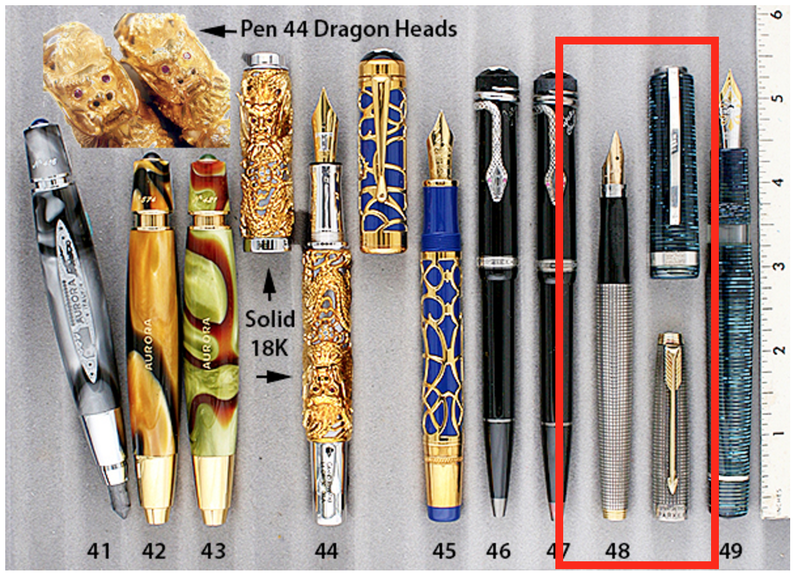 The first Limited Edition fountain pen ever produced! New-old-stock. 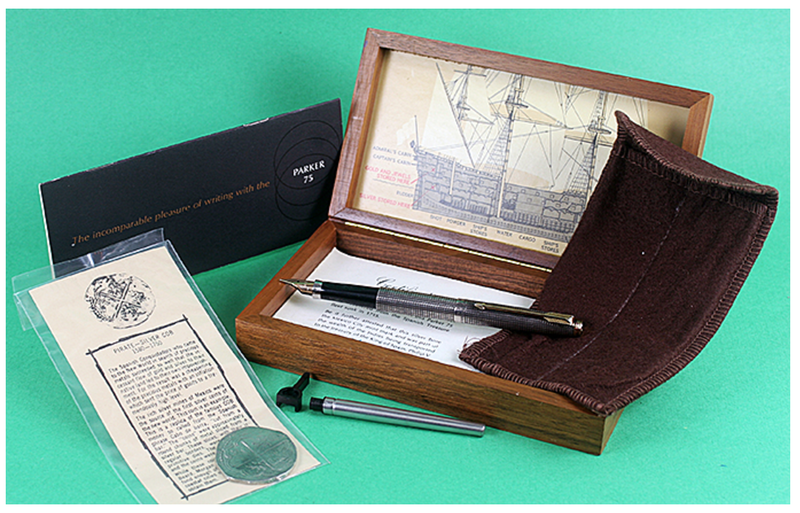 Mint in box with felt pouch, notarized certificate of authenticity, rare doubloon coin with parchment description, nib adjustment tool, cartridges and converter. Comes in a hinged wooden box with a map of the area in which the armada sank on the top cover, and a cross section of one of the ships displayed on the inside cover. No outer sleeve. Fine nib. Original converter. Item #48 in Catalog #81.